If you have a nervous or misbehaving pet, you may be at a loss when it comes to how to help them. Anxiety in dogs can be extremely hard to treat — after all, it’s not like you can have a conversation with your dog to find out what is wrong or how you might be able to help. However, you may have seen CBD making headlines as of late. What is CBD used for when it comes to dogs? The answer may surprise you! Pet owners around the world are turning to Pet CBD Oil to help ease their dog’s anxiety and rambunctiousness. If you have questions about CBD oil for dogs, you’ve come to the right place. In this article, we’ll give you a general overview on everything you need to know when it comes to pets and CBD. Then, we’ll explain how CBD might be able to help your family get a better handle on your anxious dog. We’ll go over the different forms of CBD oil and then help you figure out where to get CBD for pets. Ready to finally find a solution for a dog that’s bouncing off the walls? Read on! 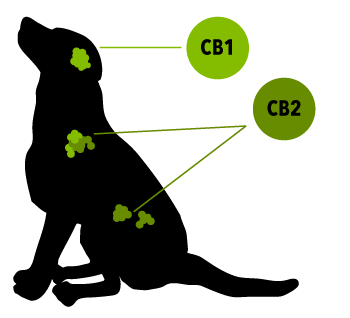 Cannabinoids (CBD) interact with CB1 and CB2 receptors in Mammal Endocannabinoid System. Cannabinoid receptors that are endogenous to the mammalian brain, and play a pivotal role in physiological processes such as mood, memory, pain and appetite. Scientists have found CB 1 receptors in higher numbers in the brain. And notably more CB2 receptors within the immune and endocrine system. Believe it or not, we humans have a lot of similarities to pets. And just like CBD is making news for its ability to benefit humans in a wide variety of ways, CBD’s reach may extend to our furry friends as well. Pets and CBD — who would’ve thought we’d ever see such a thing? But in some cases, when it comes to anxious or badly behaved dogs, pet owners have tried everything. If this is the case for your family and your dog — you might want to try an alternative medicine that both humans and dogs alike are using to chill out. Like humans, dogs will get high if you give them something that contains the cannabinoid THC. You should never, ever give a cannabis product that contains THC to your dog. This psycho active compound can have disastrous effects on your dog’s health. However, items like CBD oil that comes from the hemp plant and does not contain any psycho active elements may be a good option for your dog. 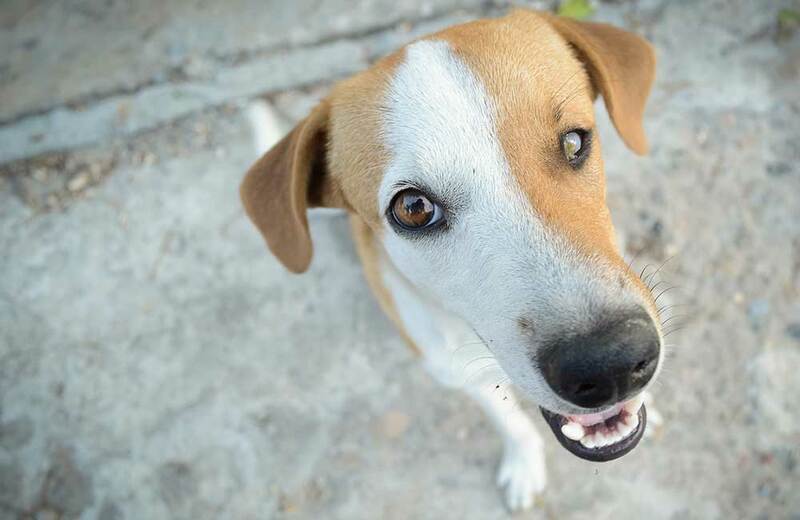 Usually, when you have a nervous or mischievous pet, the vet may recommend treatment programs involving exercise, mental games, daily routines, and special treats. Sometimes, however, these methods just don’t do the trick. In some cases, you may need to take the next step and consider providing CBD to your dog. In today’s day and age, CBD is becoming more widely accepted as a natural and generally safe treatment for decreasing anxiety levels, aiding in sleep, and in some cases, even managing serious conditions like chronic pain or even epilepsy. Want some good news? Clinical trials are underway and more information is just on the horizon! Soon, we will have additional research and case studies to back up what pet owners all over the world are reporting. Dr. Stephanie McGrath of Colorado State University is leading a study on the use of cannabidiol (or CBD) for the treatment of osteoarthritis and epilepsy in dogs. As a neurology specialist, she is also one of the leading advocates when it comes to conducting further testing and research on CBD in the field of veterinary medicine. There are 27 dogs participating in the clinical study at this time. Dr. McGrath and crew are keeping track of variables like oil application, dosage amounts, side effects, and ways to counteract the side effects, among other things. 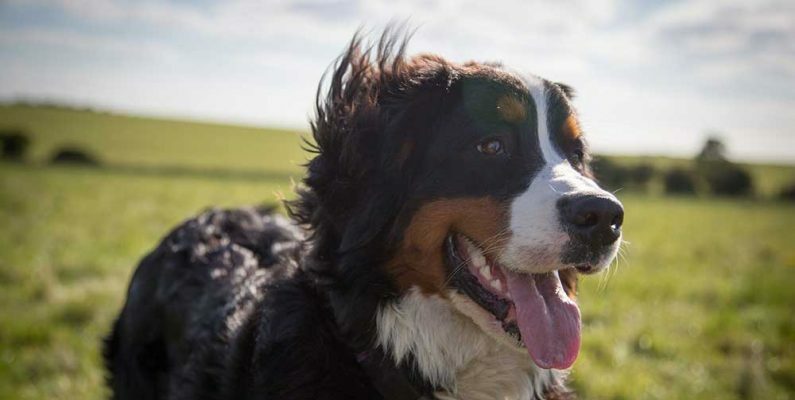 The hope is that the results of these trials will provide both dog owners and the vets they turn to with additional research, solid evidence, and facts to refer to when it comes to using CBD for dogs. It is clear that with caring vets and scientists like Dr. McGrath at the helm, the practice of using CBD oil as an optional treatment for dogs is just getting started. When it comes to discussing the use of CBD for pets, you may start to wonder — what is CBD used for in the first place? Why do humans use it? These are great questions. 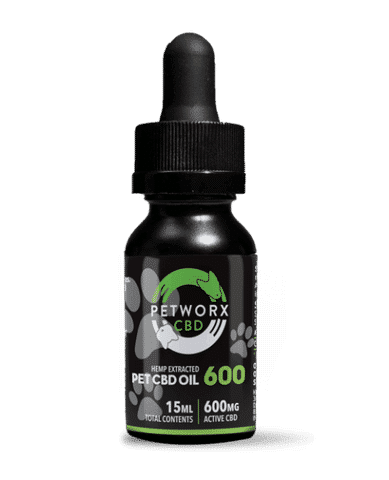 If you better understand some of the many benefits of CBD, you’ll have a better grasp on just what makes CBD such a great option for dogs as well. CBD is one of the nearly one hundred cannabinoids found in the marijuana plant. However, unlike its more well known cousin — THC — CBD will not cause you to get high. In addition, CBD usually comes from the hemp plant, which belongs to the cannabis family of plants but is not quite the same. CBD offers many of the same therapeutic benefits that people get from marijuana, only without the high. That’s why it’s becoming so popular and highly sought after. Luckily, it’s also legal in most places since it does not produce any sort of psycho activity. Unlike marijuana with THC, CBD oil is widely available. Just a few of these include anxiety, depression, muscle spasms, chronic pain, Alzheimer’s, nausea (especially when due to cancer treatments like chemotherapy), and even seizures. The reports pouring in about CBD’s miraculous abilities seem too good to be true — but as more and more people give it a try and report amazing results, the future for CBD just gets brighter and brighter! When it comes to the question what is CBD used for, the fortunate answer is: all kinds of things. If you are suffering from some sort of ailment or disease, it just might be worth giving CBD a try. You never know what effects it could provide to you, and there are no huge side effects that would cause you to want to avoid trying it. One of the main purposes people need CBD for is assistance in training their dog. A nervous or anxious dog can be one of the hardest kinds of dogs to train — yet usually, they’re also the dogs that need training the most. This is especially true if someone adopts a dog instead of getting a dog when it’s still a puppy. Adopting a dog comes with a unique set of difficulties. Usually, the dog already has learned behaviors, and sometimes these habits are problematic. As the saying goes, it can be very hard indeed to teach an old dog new tricks. If you’ve adopted a dog who has some unfortunate behavior issues, you may find that your dog not only misbehaves, but also seems to be anxious about all kinds of things. From new places to new faces, from strange sounds to strange sights, your dog may have the unfortunate tendency of freaking out at the smallest of things. Your adopted dog may come entrenched in months or years of bad behavior. However, there’s still hope. You might still be able to train your dog some new and more healthy habits. Many owners who have a hard time with their dog turn to Pet CBD Oil for a natural method of helping their dog to calm down. Easing your pet’s anxiety can make him or her much easier to train. It’s awfully hard to give a dog commands if it’s panting, running around chasing its tail, or simply can’t seem to sit still and concentrate! Help your dog along by giving a small dose of CBD, as long as your veterinarian says it’s okay. You should always check with your dog’s doctor first, before you ever introduce a new or questionable substance — no matter if it’s food, treats, or even CBD oil for dogs. However, as long as you get the go ahead from your dog’s vet, you should consider trying out a low dose of CBD for your anxious pet. It might be able to really help your dog through its daily life and any training regimen you plan to start in an effort to get those behavioral issues under control. All of this sounds great — but how are you going to make your dog take CBD? Dogs can’t smoke pot! Of course they can’t — and you would never want them to. In fact, the association with smoking when it comes to CBD is a very common misconception. It’s not pot, and you don’t smoke it. Let’s set the record straight once and for all. In most cases, CBD comes in the form of an oil, a capsule, or some sort of rub or balm. CBD isn’t something you smoke at all. The closest form of CBD to smoking is vaping, but of course that is not a viable way to administer CBD to your dog. The same forms of CBD available for humans — like capsules and oils — are available to dogs from some manufacturers. However, there are a few additional forms of CBD available that make it easier for dogs to take. For one, you could provide CBD to your dog in the form of a treat. What dog doesn’t like to get treats? Providing CBD infused treats to your dog is a great way to make everybody happy. Your dog will likely not even taste the difference or notice that they’re being administered CBD at all. Another option is CBD spray. This can be good for dogs who are very resistant to eating or trying new things. Having an oral spray to dose your dog with CBD can make life easier for everyone. Of course, when it comes to CBD for pets, you don’t want to over do it. After having a talk with your vet about the best options, you should then start out very slow. Try a very small dose and see if it has any effect. Over time, you can try increasing the dose or gradually working your pet up to a stronger dose until you find a happy medium. Wondering where to get CBD for pets? You’ve come to the right place! This very site offers all sorts of high quality CBD products for your dog. It may just be the perfect solution to all of your furry friend’s anxiety issues. This entry was posted in CBD News, CBD Science. Bookmark the permalink.